The appointment with Dr. Alexis was very informative. I didn’t feel rushed and she was very understanding about my past medicalissues and kept it in mind when prescribing medication in order to move things forward. I’d highly recommend her to anyone seeking help with managing allergy issues. The appointment with Dr. Alexis was very informative. I didn’t feel rushed and she was very understanding about my past medical issues and kept it in mind when prescribing medicationin order to move things forward. I’d highly recommend her to anyone seeking help with managing allergy issues. Dr. Alexis had a comforting bedside manner with my daughter and helped minimize her anxiety. She thoroughly explained thediagnosis and next steps. I will definitely continue to work exclusively with her going forward. Dr. Alexis had a comforting bedside manner with my daughter and helped minimize her anxiety. She thoroughly explained the diagnosis and next steps. I will definitely continue to workexclusively with her going forward. Dr. Alexis is the newest member to join Dr. Lubitz’ well-established practice as a junior associate. 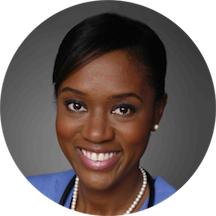 Columbia-trained Dr. Alexis is board certified by both the American Board of Pediatrics and the American Board of Allergy/immunology and is therefore very comfortable seeing both pediatric and adult patients. Dr. Lubitz’ practice specializes in the diagnosis and treatment of asthma, seasonal and perennial nasal allergies, acute and chronic hives, sinus problems, eczema, contact dermatitis, adverse reactions to foods, drugs and insect bites as well as recurrent infections. Dr. Alexis was so welcoming. Explained in great detail! So thorough and lovely! Solved the issues that my pulmonologist missed in the very first visit. I’ll be back! As always wonderful professional expertise and care. Have been seeing Dr. Alexis for 5 years. She is the best! She is relaxed, cheerful, efficient, and always helpful. Highly recommend! Dr. Alexis has been helping me manage my asthma and allergies for several years now. There’s good reason why I keep coming back. She listened well despite juggling my visit and another patient's visit at almost the same time. The patient two slots before me kept insisting on more tests. She remained patient, calm, inquisitive, amiable, and professional. She made sureto tailor her approach and treatment to my financial needs and specific limits of my insurance, which was GREATLY appreciated. Dr. Alexis and her entire team were incredibly professional and very kind. From the receptionist to the nurse to the doctor I was treated with professionalism, patience and compassion. Every thing was explained to me clearly every step of the way; all options were presented to me, and questions were invited and answered fully. Ama Alexis is a very sweet and nice doctor I would recommended her to my family and friends. The staff very also very friendly and helpful. She’s super! Thoughtful and knowledgeable. Dr. Alexis was professional, courteous and efficient. She took the time to answer questions and concerns from me and my kids. Excellent bedside manner and took her time talking to me about my daughter. Never felt rushed. No wait time. Dr. Alexis was professional, approachable and knowledgeable. She was patient with my questions and addressed all of my concerns. Would very much recommend. The best allergist I have ever visited. Very kind, listens thoroughly, and truly cares about her patients. Highly recommend! Personable, knowledgeable, caring, efficient. I wish all doctors were like her. Appointment was great. Dr. Alexis was friendly, extremely knowledgeable about allergies and how to manage them, is great with children, and had a lovely bedside manner. The front desk staff was friendly too. Highly recommend. She was really nice and listened to what my problem was. Took her time and has really helped my skin from all the eczema. Very formal, informative, cordial, and thorough! Very bad doctor. The kind of doctor that is in the rush and not spending time with the patient. No idea where so many good reviews came from :(((( They made a test, and we found out that our 3-year-old kidhas a nut allergy, so what she did is gave us a bunch on brochures and told us to go home and process it, then if we have any questions to call her. I told her I have questions now, and she said I need to go home now. She has other patients waiting. What a joke. Don't book too many patients if you can't spend any time with them. Shame!! This was the most pleasant doctor's appointment I've ever had in NYC. Dr. Alexis was super kind, took her time, and was so helpful. I can't recommend her enough. Experience was as seamless as you’d want a doctor visit to be. Dr. Alexis has a terrific bedside manner and asked questions about several things I planned to address, but had forgotten when I got there. She was time efficient but didn’t rush me at all. Amazing! Very professional, kind, knowledgeable, warm, patient. Exceptional care. Highly recommend! She is very personable & pleasant to deal with. Puts you @ease. Really nice and lovely doctor. No complaints. Her office is convenient and organized. I never wait very long. Professional, kind, warm, knowledgeable and encouraging. Everything I wanted in this visit! Her staff was really great, too. Amazing -- went in for an allergy test and was seen immediately, also immediately felt like she was my best friend and was out the door before I could blink, it seemed, it was awesome! She was great! Nice, patient, informative. I would recommend her. This was a while ago, but Dr. Ama was very friendly and was able to pinpoint the reasons for certain allergies I was experiencing. The office staff was warm and accommodating. Dr. Alexiw was very thorough and took the time to not only diagnose my son's issue but made sure to educate me on the illness, treatment options, etc. Great experience. Highly recommend. Been going to Dr. Alexis for a few years. She is great. She listens to what the new symptoms are each year with the seasonal allergies and has really come up with a great regiment to keep my allergies under control. Very nice doctor. Great approach to kids and parents. Explained everything in detail. Almost no waiting time. Highly recommended. She was a great doctor. She explained everything to me and made me completely aware of my symptoms. great from start to finish. front desk was accomodating and helpful making sure everything was great with my insurance. they were flexible with time as i had a problem with some info. doctor was warm, knowledgeable and professional as was the nurse. first class operation. Dr. Alexis was knowledgeable, personable, and thoughtful. I'll definitely be back! The office staff was polite and efficient. Dr Alexis was fabulous. Listens really well and is very friendly. Highly recommend. Dr. Alexis is a warm and professional doctor, with a great sense of humor. She listened to my questions and gave me helpful answers, as well as additional information about my allergies (some of which explained so much!) and treatment options.I'll be back in the spring, for sure, to follow-up once my seasonal allergies get into full swing. Thank you! Always professional and thorough. Very knowledgable and leaves you feeling that you are in good hands. Very pleasant and informative. Encouraging too!